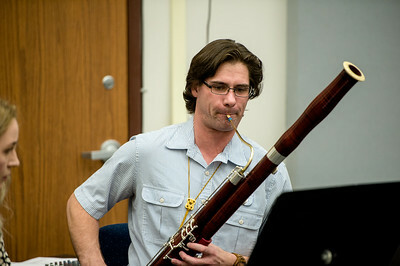 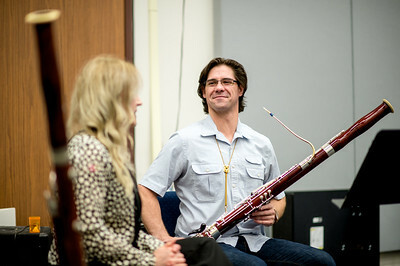 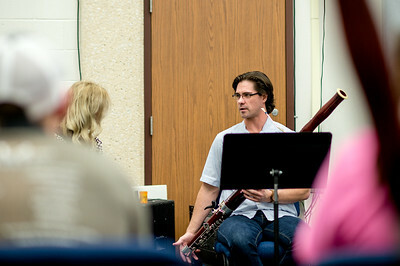 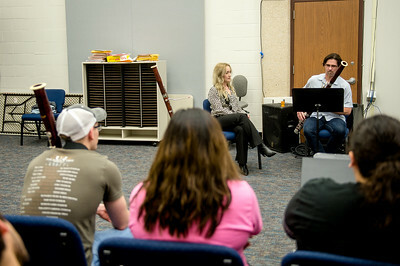 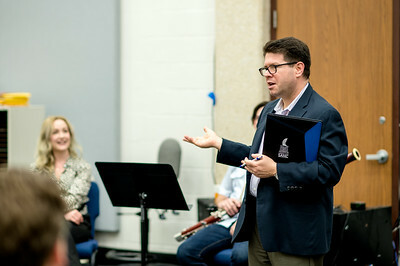 Dr. Scott Pool, Professor of Music for Bassoon, introduces Eryn Oft during the Bassoon Week's master class. 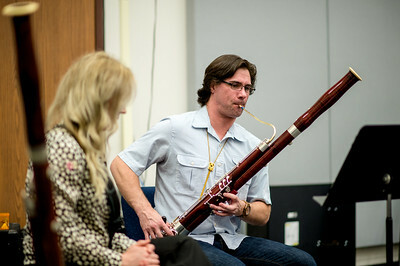 Friday Feb, 23 in the Center for Arts building. 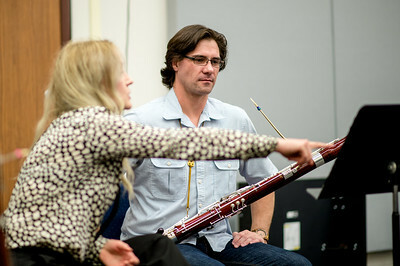 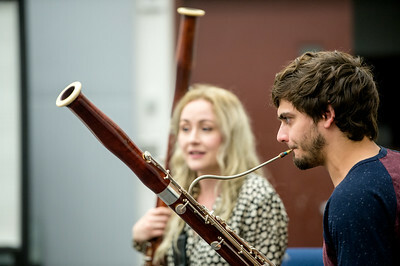 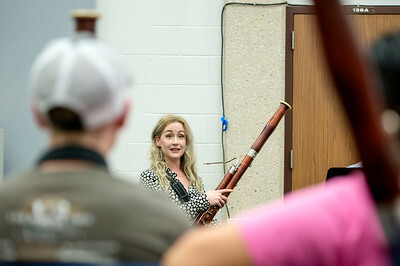 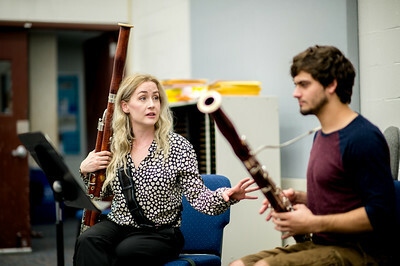 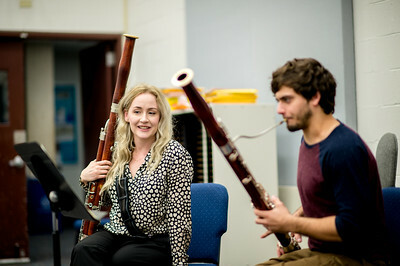 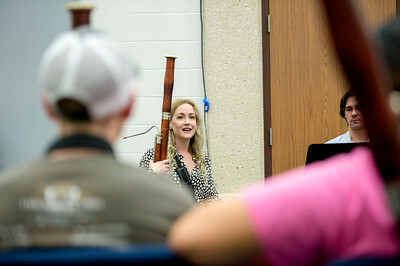 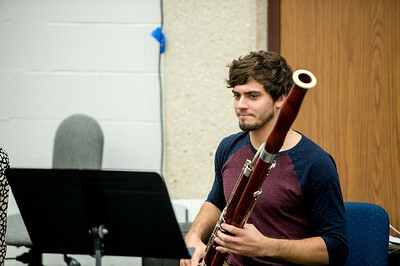 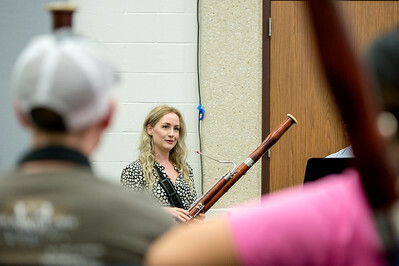 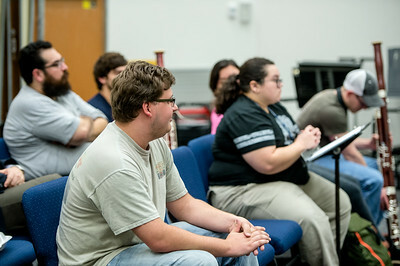 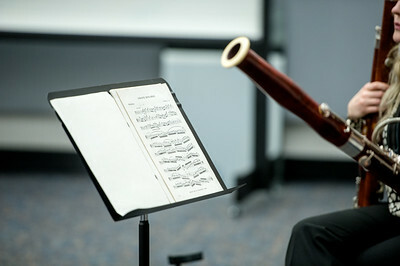 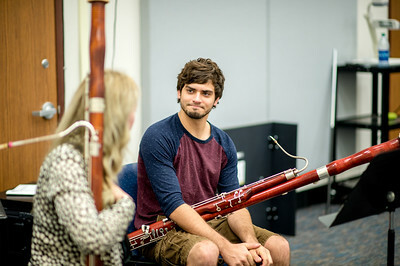 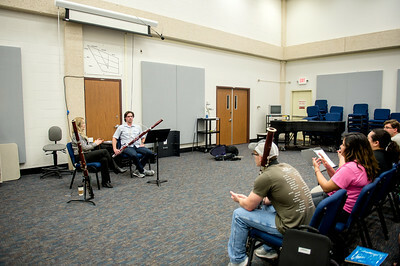 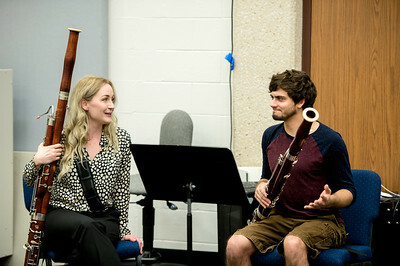 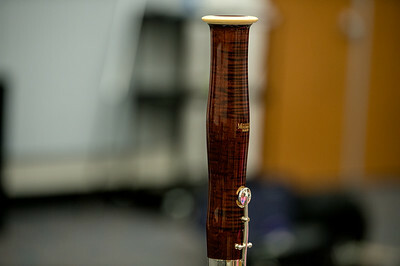 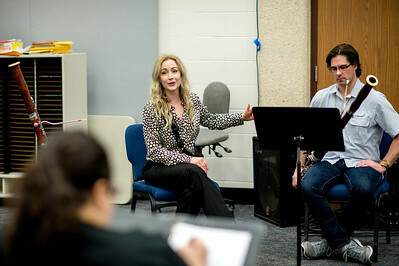 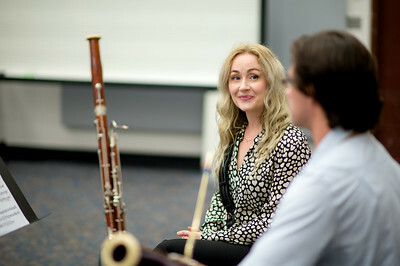 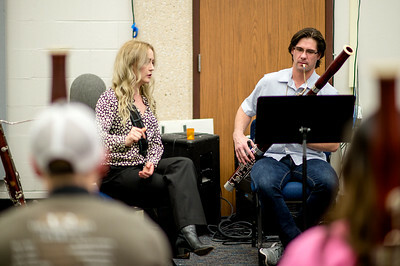 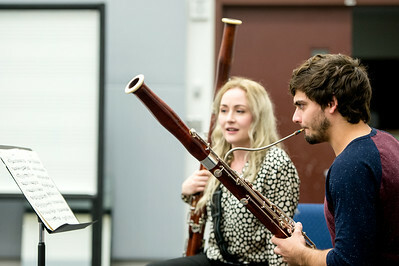 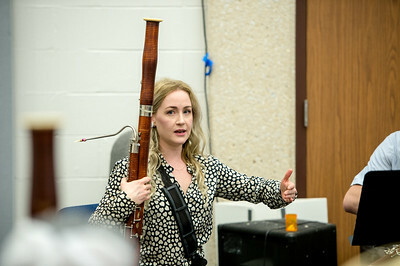 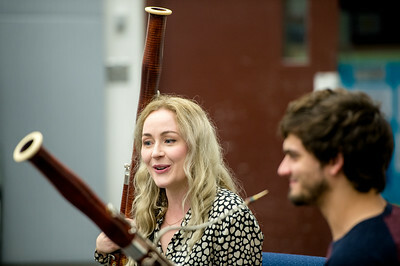 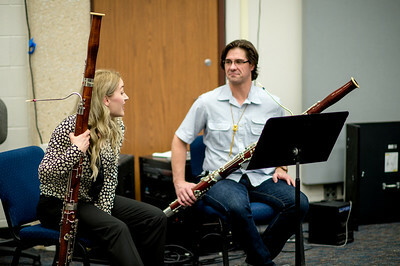 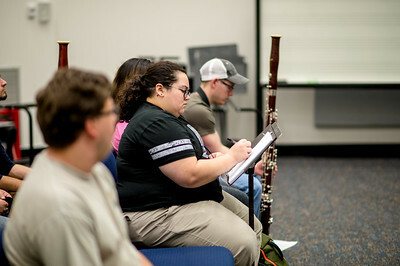 Bassoon Week guest Olivia Santos takes notes during a master class.